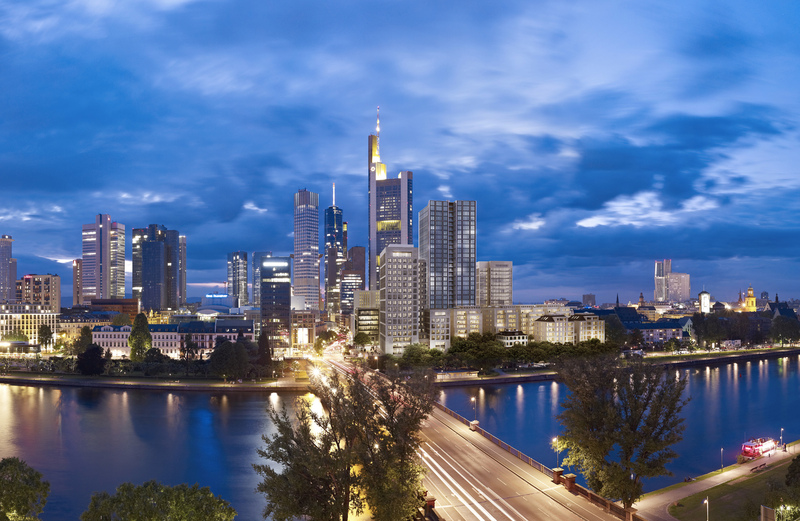 The GEG German Estate Group AG, based in Frankfurt am Main, GEG German Estate Group AG has positioned itself as one of Germany's leading investment and asset management platforms in the commercial real estate sector. Its investment focus and investment policy concentrate on three segments: institutional business, opportunistic investments, and property developments. Within the framework of this clearly defined strategy, GEG has consistently exploited its opportunities ever since it was founded in 2015, building up an extensive, diversified real estate portfolio with a total of EUR 2.4 billion in assets under management today. In addition to landmark properties like the IBC Campus office complex and the Villa Kennedy luxury hotel in Frankfurt, these include the Sapporobogen office building in Munich, property developments like the MainTor urban quarter and the Global Tower or the RIVERPARK Tower in Frankfurt, Opera Offices in Hamburg, and Junges Quartier Obersendling complex in Munich. The two shareholders of GEG German Estate Group AG are the Frankfurt-based Deutsche Immobilien Chancen group and KKR Kohlberg Kravis &amp; Roberts, a globally leading investor with commitments in asset classes like private equity, infrastructure and real estate.